Talk about a toboggan ride. 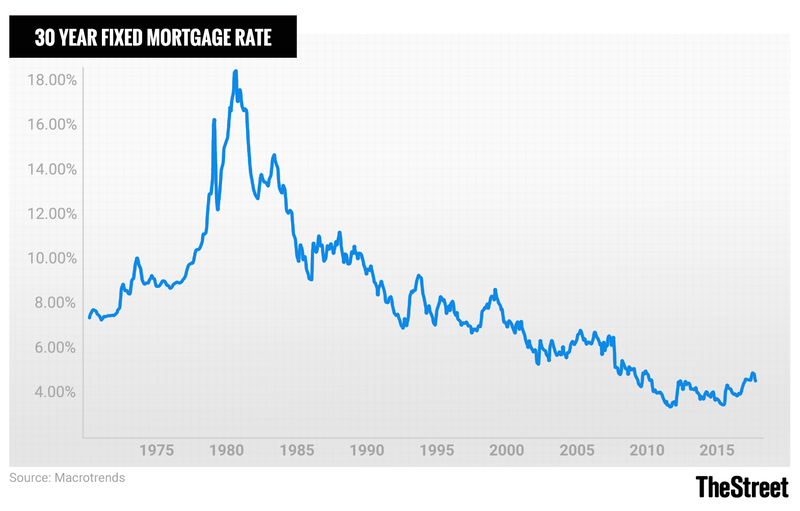 U.S. historical mortgage rates from the early 1970s to 2019 have been on a decidedly downward trend. The charts tell the story, painting a remarkable picture of the history of U.S. mortgage rates over the past five decades. Over the long-term, the relationship between historical mortgage interest rates and current mortgage interest rates is tenuous, aside from the common theme that mortgage rates are a huge factor in determining if property buyers can achieve the American Dream of owning their own home. The fact is, not many Americans, especially those hard-working Main Street Americans in the nation’s middle class, can buy a home without landing a home mortgage. 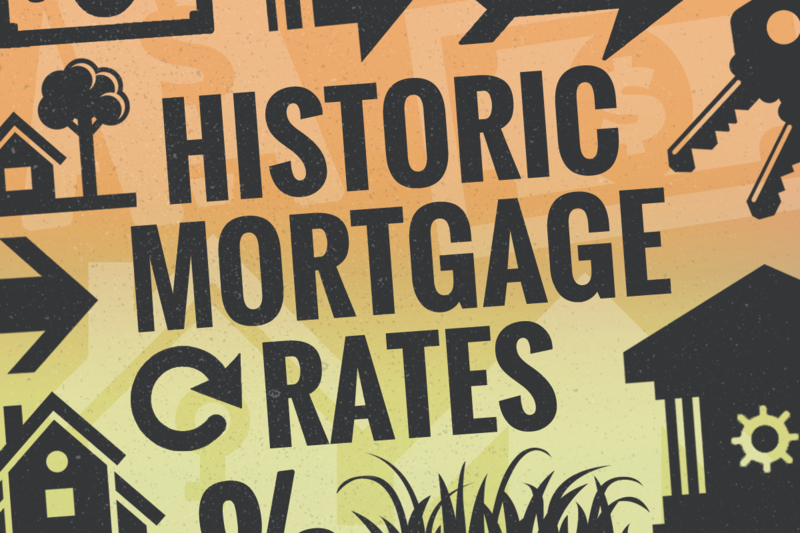 In that light, taking a look at the historical growth of mortgage rates is a worthwhile endeavor. The property owner had an out, however. If the mortgage recipient couldn’t hold up his end of the bargain, the agreement was legally null and void – and the borrower would have to start looking for another place to live. Both ancient Greece and Rome also planted the seeds for mortgages, and mortgage interest, when the concept of debt was introduced to the home ownership equation. That scenario saw the mortgage recipient living on a property owned by the mortgage provider, until the agreed-upon debt was paid off. It was at that time the term mortgage first found its way into the regional economic vernacular. The Americanization of the mortgage loan, which really started in the early-to-mid 20th century, melded the money-lending component of mortgage model adopted by both the Indian and Greek-Italian economies centuries ago. To a larger extent, it borrowed from the British empire’s increasing reliance on bank involvement (and eventual control) of the property-financing market starting in the late 12th century. The European home mortgage purchase model ebbed and flowed through times of plenty and times of peril, like the Great Plague in Britain in 1665-66, which wiped out approximately 100,000 people in London alone, during an 18-month period. But it really took a mass exodus to America by millions of people to get the ball rolling. As more Americans made the journey overseas to the U.S. prior to the Revolutionary War, and throughout the following 150-plus years, few Americans, like their European counterparts, gave any thought to buying a home – that was an economic advantage reserved for the affluent and not meant for the masses. That changed at the start of the 20th century, as new manufacturing jobs emerged, thanks to pioneers like Henry Ford, founder of Ford Motor Company (F – Get Report) , and John D. Rockefeller, founder of Standard Oil, who provided better-paying jobs at fewer hours for the middle class. By the late 1940s, post-war Americans, who were cash-flush in a vibrant U.S. economic climate, were busy buying new urban and increasingly suburban home tracts, as the household mortgage debt-to-income ratio rose from 20% to 73% from 1950 to 2000. Additionally, as a harbinger of Americans’ financial future, mortgage debt versus household assets grew as well, rising from 15% to 41% over the same time period. It would only take 50 years, to 2000, after banks and mortgage lenders had engineered something of a financial coup in America, when mortgage debt became the largest source of household debt in the nation. When Did Market Prices Crash? Confidence in the U.S. economy and the burgeoning housing market grew well into the 1970s, but that growth stalled as the U.S. Federal Reserve took aggressive steps to rein in rampant inflation. The Fed did so by raising interest rates to historic highs – so high, in fact, that the going 30-year fixed mortgage rate stood at 18.5% in 1981. That decimated the U.S. housing market, as few American households had the means – or the desire – to pay an 18% interest rate on a home mortgage. At the time, an $82,000 home, with 20% down, would cost $1,109 a month, excluding fees, taxes and insurance. If 18.45% mortgage rates were still around today, a $322,700 home, with 20% down, would cost $3,986 a month, with total interest payments over 30 years of the loan amounting to $1.18 million. Today, at 4%, that same $322,700 home costs about $1,232 a month, with a total cost of about $444,000 over 30 years. What Has Been the Impact of Mortgage Interest Rates? In the U.S., the price of borrowing large sums of money from a bank or a mortgage lender began to take hold on the populace in the mid-20th century, and has really never lost its grip, even through a series of severe downward economic cycles (including severe recessions in 1973-75 and 2007-09). As history shows, American families continually have sought greener pastures, especially when they were working in good jobs with decent pay, and were more willing to borrow more money for a new home. Now, in 2019, as interest rates are at lower levels, Americans continue to rely on the mortgage interest rate model to both buy and refinance new homes and that’s a trend that will likely continue. What will reliably change the mortgage market around the edges is the Federal Reserve’s continued involvement in the nation’s economy, lowering rates when that economy is in peril and raising them when the economy becomes overheated. Still, economic experts don’t expect the U.S. mortgage market to roll back into the late 1970s and early 1980s, when interest rates stood at 18% at their market highs. That’s good news for today’s home buyer, who, like his or her predecessors back in ancient Rome, still believe in the concept of “pledge” and “death” when it comes to landing a mortgage to buy a home.